ONLY 8 LOTS REMAIN! New subdivision with improved lots ready to build! 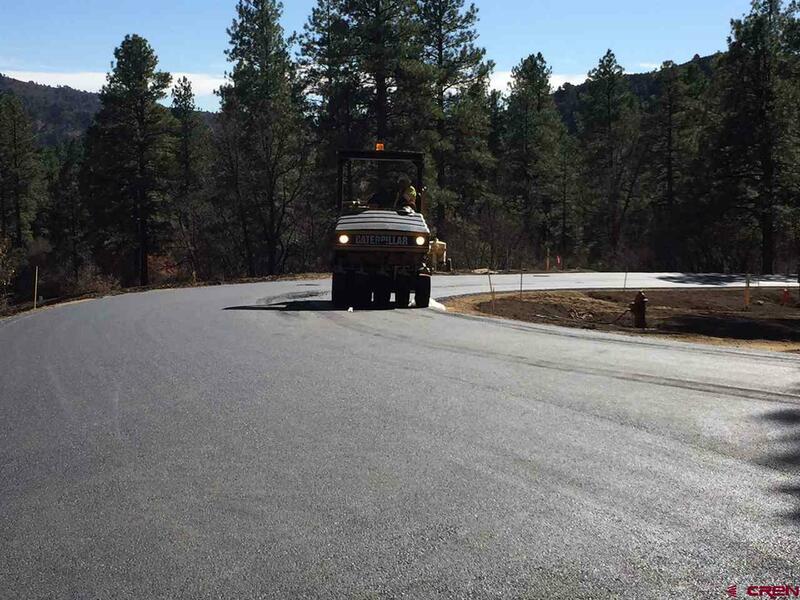 Just 4 miles east of Durango in the cool pines at 7500 ft, this Phase 2 of an established subdivision within the desirable Edgemont Highlands Master Plan is fully improved and branded. ELEMENTS AT EDGEMONT HIGHLANDS PHASE 2 is ready to go vertical! 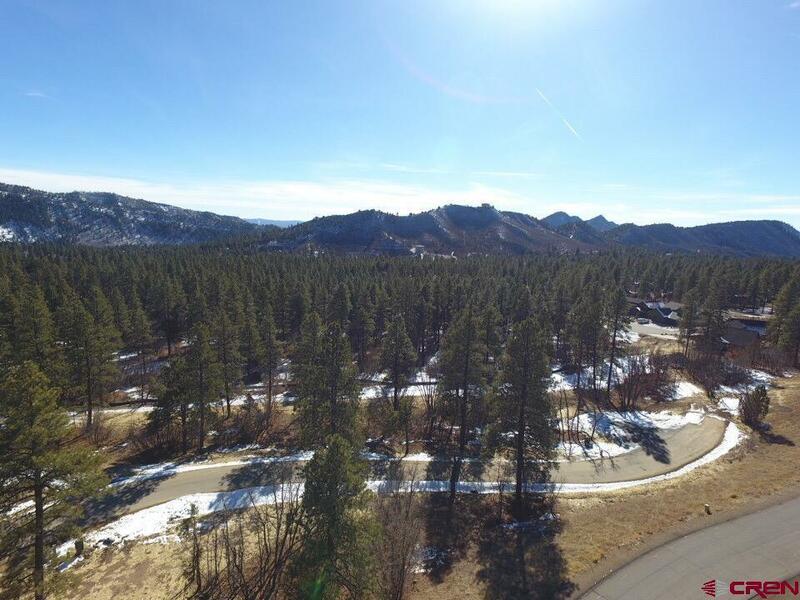 You won't find a small subdivision of improved lots like this anywhere else! Of the 17 total lots, only 8 are left available (4 detached and 4 in duplexes). This subdivision is designed as "clustered homes" with smaller building envelopes/lots and more common area open space. This minimizes maintenance for the homeowners without compromising on the overall open area in the neighborhood. With a gross density of 4 unit to the acre, the gross area per home is essentially 0.25 acres - but low maintenance! A win win! The Elements Association maintains all those common areas and landscaping there as well for the owners. With conceptual plans for home sizes ranging from 1300 to 2000 square feet, this subdivision can deliver a great value and price point to the market that is much in demand! Elements Phase 1 included 14 townhomes ranging from 1365 to 2200 square feet and is SOLD OUT. Elements assessments are $125 per lot per quarter + Edgemont assessments are $135 per lot per quarter. Buyer responsible for these items per lot at closing: $2,350 infrastructure fee per payable to ERMD, $1,294 in water and sewer "tap fees", $2,000 in electric and gas deposits, $500 to reserve fund for Elements, $500 reserve fund to Edgemont. Subdivision offering includes soils testing by Trautner, civil engineering by Russell, trees and site surveyed by Moreno, approved final plat by Moreno, logo and branding, professional subdivision website LIVE, recorded covenants, and an established association with professional management by AREM. Lot 20 is 31 Terra Blue Way. 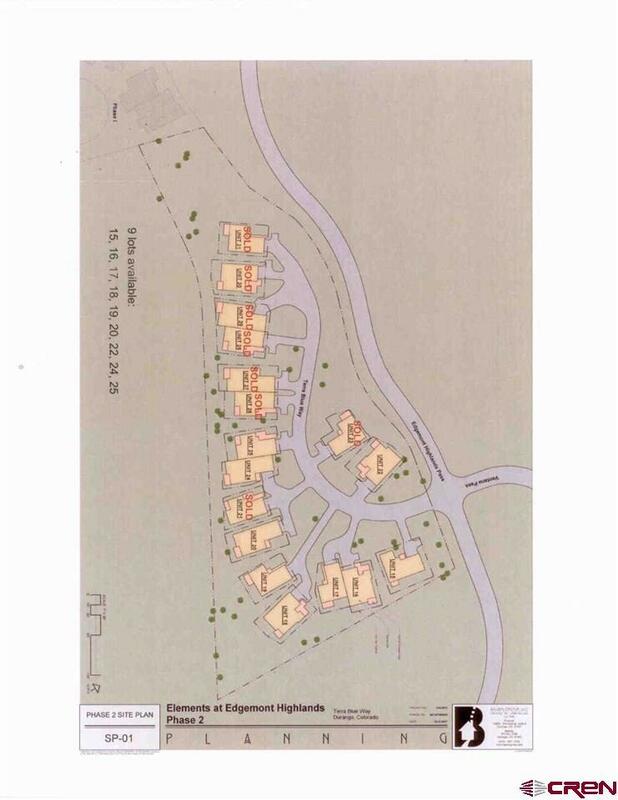 The 8 lots include 15, 16, 17, 18, 19, 20, 22, 24, 25. 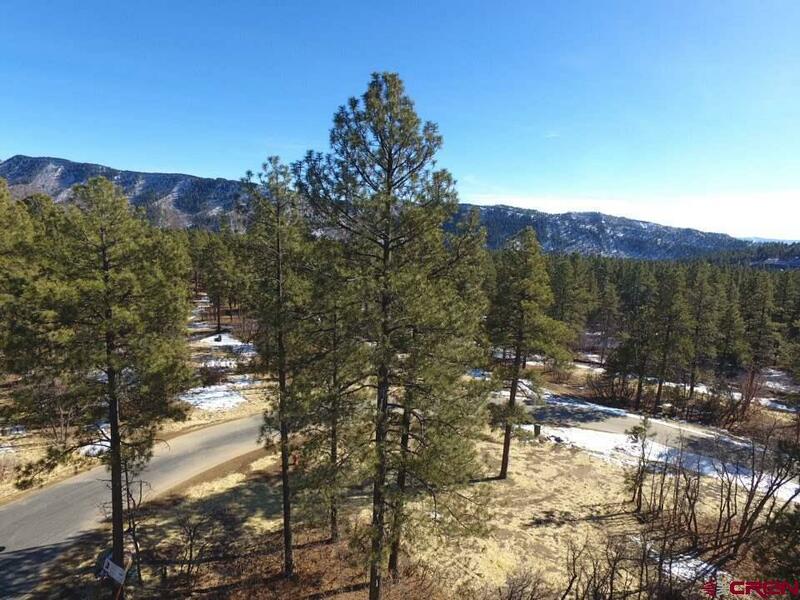 Also listed in MLS as 4 lots or 2 lots. Take advantage of an opportunity to deliver a lower price point new home in high demand and offer all that Edgemont Highlands includes: community lodge with full kitchen and oversized porch, herb garden, 10+ miles of hiking trails, over 1.5 miles of Florida River for fly fishing and over 200 acres of open space to explore!